The project features partnership of the Josef Korbel School of International Studies, University of Denver, the Chr. 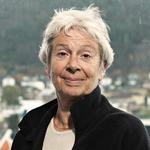 Michelsen Institute (CMI) in Bergen, Norway, the Nepal Peacebuilding Initiative (NPI), and the Center for the Study of Violence and Reconciliation (CSVR), South Africa. The methodology includes new empirical research on two commonly cited “example” case studies (Nepal and South Africa), together with country-specific workshops on these cases and regional research-and-dialogue workshops designed to generate cross-national findings.